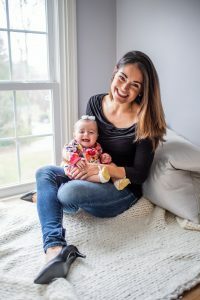 In 2015, Alex left the practice of law to devote her career to empowering young women through field hockey at the Main Line Field Hockey Club (“Mayhem”). The path was paved ten years earlier when she graduated from Gwynedd Mercy Academy High to pursue a full athletic scholarship offer from the University of Richmond under Coach Ange Bradley (now at Syracuse University), and later Coach Gina Lucido. And though law school seemed to mean the end of her field hockey career, a colleague shared one piece of advice that would change her life forever: “Do you what you love, and you’ll never work a day in your life.” Alex has continued to pursue her passion not only by opening the Main Line Field Hockey Club, but by training with the US High Performance Squad, playing in adult leagues, and jumping into drills at practice whenever she can. confidence she gained from coaches who met her level of enthusiasm and passion for the sport, and who allowed her to lead a balanced life and to learn from her mistakes. Alex returned to her alma mater to coach the program in 2015; in her second season as Head Coach, she led the Monarchs to the PIAA-A District Championship, the Regional Championship, and the first Round of the PIAA State Play-offs and has since been inducted into Gwynedd’s Athletic Hall of Fame. All-American, and was named Captain and MVP of her team. 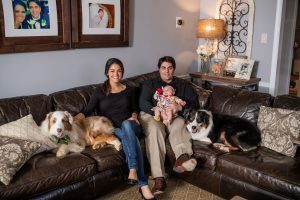 After graduating from law school in 2013, Alex married her college sweetheart, Connor McMahan, and practiced estate and trust litigation for nearly two years before deciding to take on coaching and running the Main Line Field Hockey Club full-time. Alex and Connor now live in Wayne, PA, with their baby girl, Maeve, and their two Australian Shepherds, Phantom & Misty (pictured below!). Having had the opportunity to work with hundreds of families through travel teams, private lessons, clinics, and Mayhem training programs, Alex hasn’t had to “work” a day since.